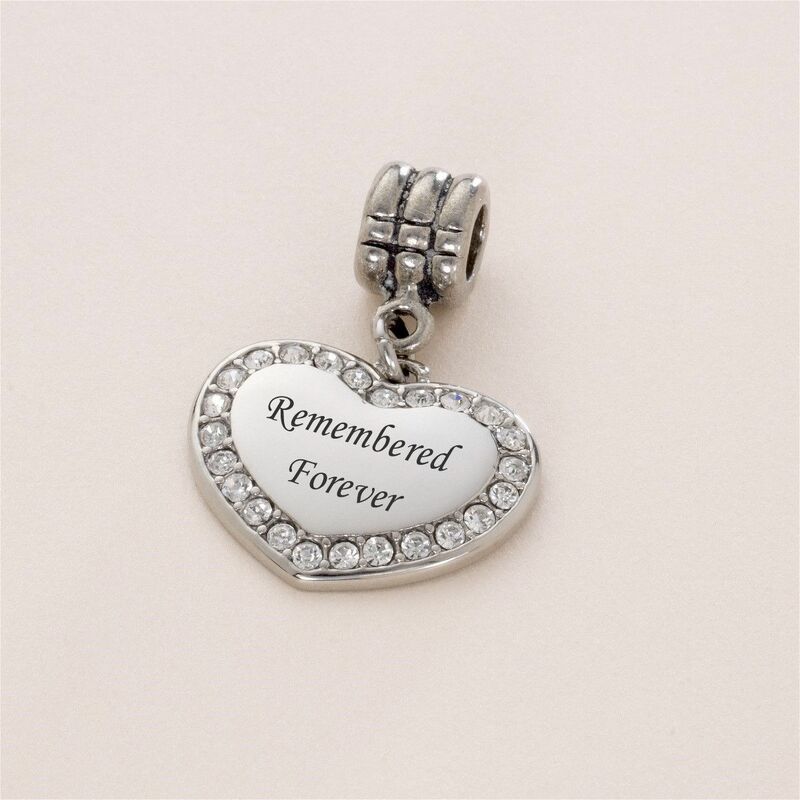 Engraved Memorial Charm, Remembered Forever, Stainless Steel. 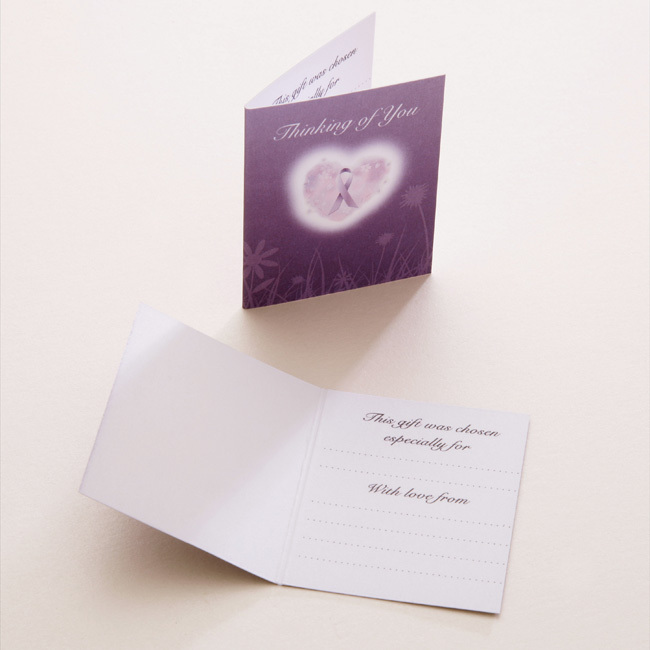 We can engrave the charm as shown or you can choose your own words by entering your desired text in the relevant boxes. Can be engraved both sides. All engraving is included in the price. A high quality stainless steel heart charm with beautiful crystals surrounding the heart on the front. The back of the heart is plain satin finished steel, perfect for engraving on. Part of our range of remembrance gifts and memorial charms. Heart Charm: 23mm x 18mm. 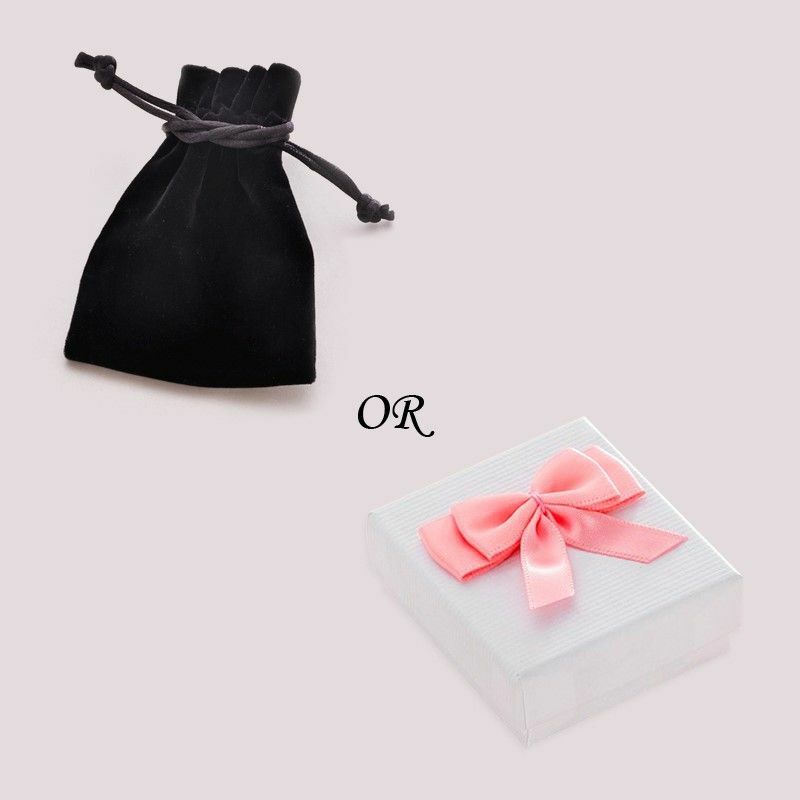 Comes packaged in either a luxury velour gift pouch or gift box, as shown.